Both have merited follow-ups, says the Bethesda VP. Prior to its pre-E3 press conference, many a rumour circulated as to what would or wouldn’t be revealed by Bethesda. 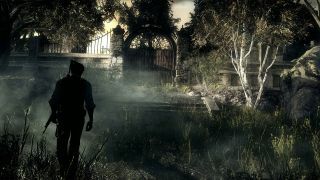 In the end, a Skyrim remaster was confirmed, as was a Prey sequel, however one whisper which seemed to slip through the net was a follow-up to 2014’s horror romp The Evil Within. Although unable to fully commit, Bethesda’s vice president Pete Hines has now said both Shinji Mikami’s scarefest and first-person shooter Rage have done enough to merit sequels. “Finder: Did The Evil Within sell well enough to warrant a sequel? Hines was quick to qualify his enthusiasm by admitting he has a tendency to get himself in trouble when talking about unannounced stuff and “what we may or may not do.” He did however offer a little more when asked if said sequels are in the pipeline. He said: “Even when we were talking about the Morrowind Remaster, if I come out and say, ‘I just don’t think that is going to happen,’ then people freak out. So I won’t confirm or deny stuff we may or may not do, as people jump to the wrong conclusions. Take from that what you will, but I for one would love to see a return to Mikami’s twisted psychological horror world. Watch this space, I guess.